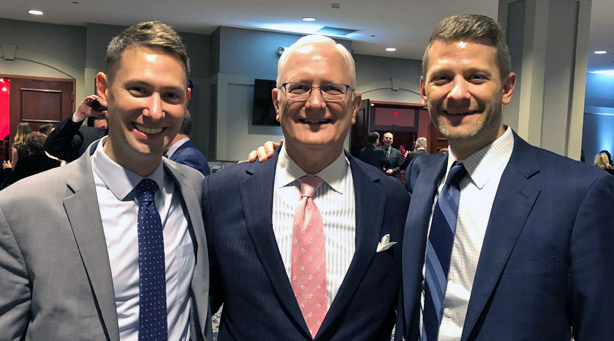 Dan, Mike Sr., and Mike Jr. attended the 15th Annual Cornerstone of Hope Gala in Independence, Ohio. Cornerstone of Hope is dedicated to providing support, education, and hope for grieving families. Guided by Christian values of compassion and service, Cornerstone offers free counseling, therapy, support groups, camps, education and resources to anyone dealing with loss and seeking support.